Monday 31st August 1914 (Bedford): News of a tragedy which cost the life of one of their number has reached the Highlanders billeted in Bedford. A group of soldiers visited St Neots yesterday and went to Eynesbury to bathe in the river. When they arrived they realised it was ladies’ day and sat some distance away. After a time they realised two girls had got into difficulty and two of the men went to their rescue. One of these, Walter Taylor, was bringing one of the girls back to the bank when the other caught hold of him. The poor lad sank and was caught in the weeds where he drowned. 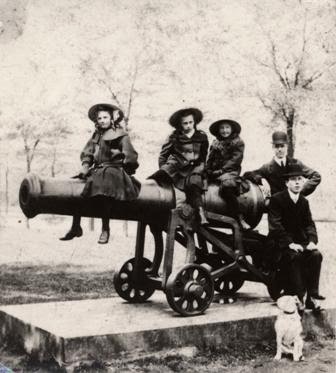 The girls were rescued by others of the group of soldiers who found a punt. Young Taylor came from Aberdeen, where ironically his address was Bedford Road. His funeral is to be held tomorrow at St Neots. Saturday 29th August 1914 (Luton): Two families of Belgian refugees are now staying in a boarding house in Luton. The fathers are both businessmen from Brussels who escaped on the morning of the very day the Germans arrived in the city. One of them had stayed in Luton many years ago, having been sent here to learn English, so the two men decided to bring their families to the town rather than go to London. They are said to be remarkably cheerful and calm despite the loss of their homes and their uncertain future. There are reports of terrible things having been done to the Belgians by the German invaders, but the refugees saw nothing of this as they had left before the Germans arrived. Friday 28th August 1914, Bedford: Many of the young men of the town will be disappointed to hear that all Rugby football fixtures for Bedford have been cancelled for the foreseeable future. The team were due to play both Harlequins and Northampton in September but both those matches have been called off. Many of the team are already serving in the forces and others have joined up as volunteers. 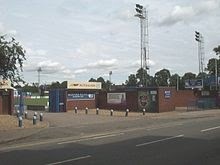 Even if there were enough players to make up a team, the Goldington Road ground cannot be used as the premises have been taken over by the army. The scrum hall is being used to store food for the troops, the grandstand is full of fodder for the horses, and the pitch itself has been badly damaged by horses and vehicles. It seems unlikely that there can be any matches at Goldington Road before Christmas. Thursday 27th August 1914 (Luton): An announcement has been made today about schooling arrangements. The children are due to return to school next week after the summer holidays, but many of the school buildings are being used to billet troops. Special arrangements have had to be made with a number of schools having to double up and share premises. Where this happens children will only get three days schooling a week and will attend school on alternate days, either Mondays, Wednesdays and Fridays, or Tuesdays, Thursdays and Saturdays. No doubt many of the youngsters will be happy to have unexpected freedom on the days they do not have to attend. Their parents' feelings may be rather different! 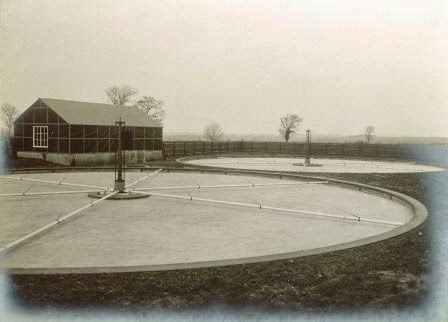 Tuesday 25th August 1914 (Linslade): Last week an incident took place at the waterworks in Linslade when one of the guards saw something creeping along the side of the fence and fired three shots. The area was searched carefully but nothing was found. It was feared that an intruder may have poisoned the water in the reservoir and a sample was sent to the Public Analyst for testing. Linslade Council held a special meeting today at which the analyst's report was read. No trace of poison has been found and the water has been declared safe to drink. In any case the reservoir had already been thoroughly cleaned and the filtering sand replaced. A lot of fuss and work was created by this supposed "intruder” which it is now suspected was probably nothing more a dog or fox. 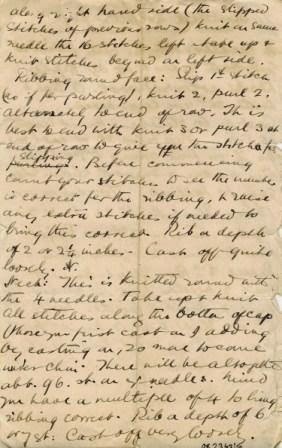 Sunday 23rd August 1914 (Luton): The Territorials billeted in the town are having a practical problem due to the difficulty of getting clean underclothing. A Laundry Service Committee has been formed to help. Underwear is being collected from around town and a group of women have been put to work washing and mending it. Extra billets have been found by sending forty of the territorials to the old Workhouse, where they are living in a separate section from the usual inmates, with their own entrance. Sixty more men are expected to join them. The Mayor has now agreed that their washing can be done in the Workhouse Laundry for a small fee. Saturday 22nd August 1914 (Bedford): The Boy Scouts have been very busy all week. Some have been acting as messengers for the Highlanders since they arrived last Saturday and the police have also been relying on Scouts as messengers. Others have been acting as guards, watching both the railway bridges, the reservoir, and the pumping station. Bedford's own Scout Troups are being helped by the Elstow, Kempston and Clapham Scouts. The war is beginning to affect life in the market town of Leighton Buzzard now that Territorial soldiers have been billeted there. 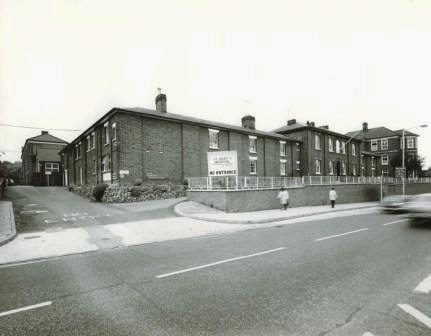 The Wesleyan Sunday School in Hockliffe Street has been open during the week for the men to use for recreational purposes with an entertainment has been laid on for them every evening. The Corn Exchange in Lake Street has been turned into a hospital with the help of the Leighton Red Cross and has been operating with a staff of ladies from the Leighton Voluntary Aid Detachment. The dozen inmates are all suffering from either minor illnesses or injuries suffered while on duty. The soldiers are due to leave today and it is expected that the patients from the Corn Exchange will be taken to the Military Hospital in Bedford. 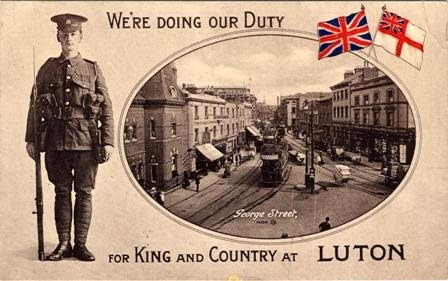 Monday 17th August 1914 (Luton and Biggleswade): A recruiting office has opened at the Volunteer Club in Park Street, Luton where men can sign up to join the new army being raised by Lord Kitchener. Men whose teeth are too poor to be accepted into the army are being given free use of the dental clinic so that they can be passed fit by the recruiting officer. Once accepted they are sent to Bedford for a full medical examination. A story has been going round about an old soldier from Biggleswade, George Smith. A veteran of the Crimean War and the Indian Mutiny, he wants to go with the Expeditionary Force despite being 82 years old. He admits he is too old to fight, but says “I could cook for the chaps: I could make a pie or pudding with any of them”. 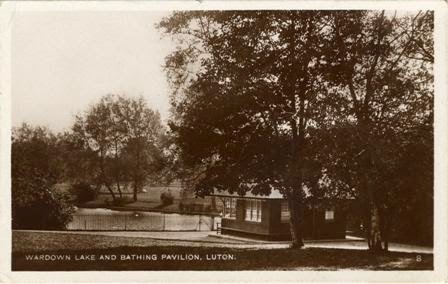 Sunday 16th August 1914 (Luton): A Territorial transport driver, Fred Dickinson, has been brought in to the Bute Hospital unconscious with a smashed hand and a badly cut head. He had been driving an ambulance wagon, and while he was unharnessing one of the horses it bolted and knocked him down. The hospital has been exceptionally busy all week with nearly twenty soldiers from the Territorials and Yeomanry admitted with pneumonia. Although it is August the poor lads have suffered badly from having to sleep on damp floors. 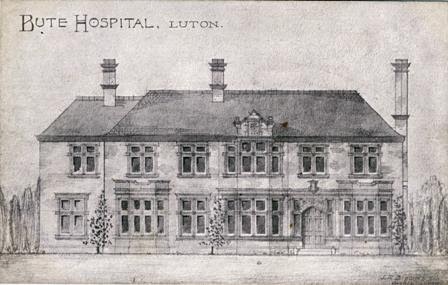 The Bute Hospital was the forerunner of the Luton and Dunstable University Hospital, built on land in Dunstable Road donated by the Marquis of Bute. In 1902 it had forty beds. The Bureau already has 600 volunteers, though as 490 of those are for needlework it seems the talents of the ladies of Bedford are not quite as varied as might be wished. Tuesday 11th August 1914 (Dunstable): Food prices are still a source of discontent and there have been accusations that some grocers are profiteering and charging more than they should. Suspicion that prices are being put up unnecessarily led to a disturbance in Dunstable last night. A crowd of over a thousand people gathered in High Street North. To start with they were quite good humoured, singing patriotic songs. Then the mood turned angry. A brick was thrown through the plate glass window of Mr Mowse’s grocer’s shop and was followed with a shower of stones. All the windows in the front of the shop and house were broken. The police lost control and there were threats to loot the shop. Major S J Green, the commander of C Squadron of the Beds Yeomanry drove up in his motor car and spoke to the angry crowd. The Major was greeted with cheers, but after he left the mood turned nasty again and more stones were thrown before the mob finally broke up and went home at around one o’clock. Another crowd gathered early in the morning, this time to see off Major Green’s Bedfordshire Yeomanry Squadron from the LNW railway station. His men had mobilised in Dunstable on Thursday and had been billeted in Messrs. White’s mineral water factory since. While the Yeomanry were at Dunstable many young men applied to join them, but they were turned away because the Squadron was already at its full war strength. There was a strong feeling amongst the people against Mr Mowse, on account of him having raised the prices of his goods, and it having been reported that he said he could do without the trade of the poorer classes. 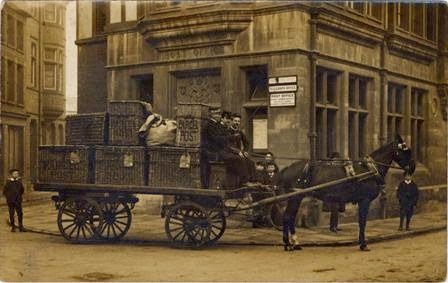 Mr Mowse also did a little wholesale trade with some smaller shop-keepers, and it was stated that he had been round and got them to raise their prices also. The feeling of the people were entirely against Mr Mowse only. 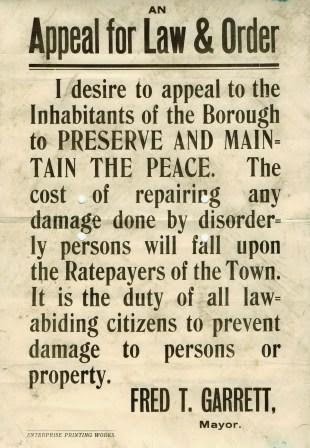 A claim was made for payment under the Riot Damages Act of 1888 by the Luton Mutual Plate Glass Insurance Association Ltd which had paid for repairs, but this was refused on the grounds that the Riot Act had not been read and the incident could therefore not be classified as a riot. 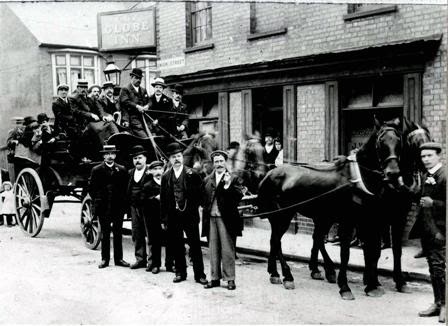 Sunday 9th August 1914 (Luton): Since the war started the army has been commandeering the horses it needs from the town. 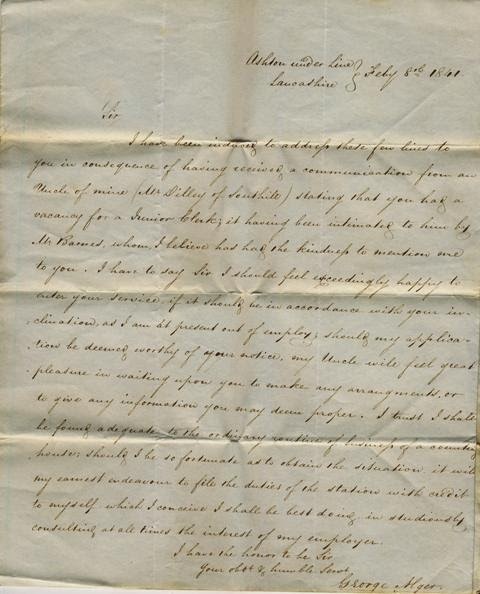 Requisitioning parties have been at work all week, and have not always shown much regard for the owners' feelings. A local doctor had his horse seized from outside his door: its hooves had been branded even before it was moved away from the house. Some organisations have been more successful than others. The Royal Army Medical Corps found itself in particularly difficulties. Representatives of the RAMC had been round the town and sourced all the horses they needed but had not actually requisitioned them. When they went back to claim the horses they found other parts of the army had got there first. In the end the RAMC were forced to leave town without the animals they needed. 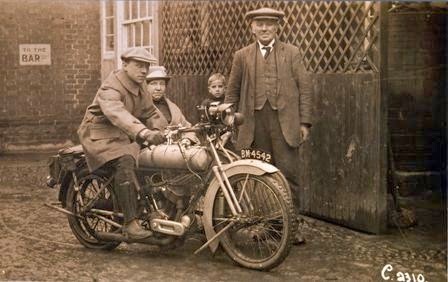 Saturday 8th August 1914 (Luton): A group of motor cyclists left Luton this morning to attend a rally at Wimbledon Common in response to a Government appeal for volunteers. An enthusiastic crowd gathered to see them off from the Town Hall at midday. Some have been sent on patrol work, and others have been distributing Police proclamations from Scotland Yard to various parts of the country. The man on the motorcycle in this picture, Henry Hector Manton, became a sergeant in the Army Veterinary Corps. He was killed on 12th January 1917 aged 22 and is buried at the Heilly Station Cemetery, Mericourt-L'Abbe. He was the son of Henry and Kate Manton of the Hop Pole, Cauldwell Street, Bedford. 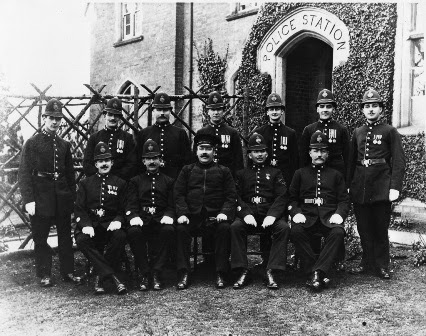 Friday 7th August 1914 (Sharnbook): Inspector Bliss of the Sharnbrook police station has asked Boy Scouts from the villages to help the police by taking messages. Four are to report to the station at 10 a.m., four more at 2 p.m. and another four at 6 p.m. Those with bicycles are to take them along. Many of the boys are already wishing they were old enough to join the army. No doubt they will feel that being a Boy Scout is the next best thing. 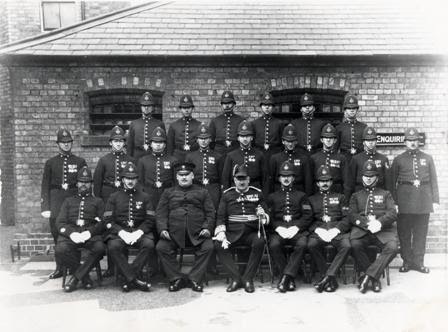 The newspaper report says the Scouts were to report to the Police Superintendent, but at this time Sharnbrook’s senior officer was Inspector John Wilfred Bliss (Beats, Boots and Thieves, Des Hoar and Richard Handscomb, p.96). Boy Scouts were used across the county to take messages, run errands and guard premises. 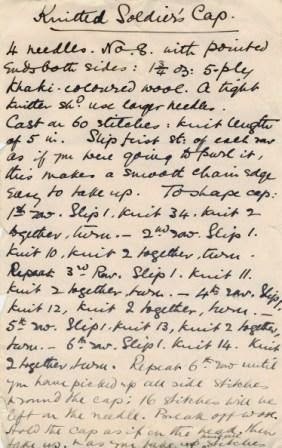 Thursday 6th August 1914 (Luton): The biggest worry for women in this first week of the war is how to make the housekeeping money stretch. Food prices have already started to rise. No wheat is coming from Russia and England cannot be sure of supplies from America. Wheat prices have risen 30% in a week and all the bakers have agreed to increase the price of a quartern loaf by a halfpenny. Lump sugar has gone up from three pence to five pence. If this continues people will soon not be able to afford to put sugar in their tea. Lard, cheese and butter have also gone up, and condensed milk has doubled in price. Today's local newspaper included a notice posted by the Luton Tradesmen’s Association warning people against buying too much and stockpiling food. Perhaps they should do the same as the Bedford tradesmen who have agreed not to fulfil unreasonably large orders and have promised not to put prices up until they are compelled to do so. It is all very well for those folks who can afford to buy enough to hoard extra food, but many wage packets cannot stretch that far. At least the butchers have promised to try to keep their prices down. Wednesday 5th August 1914 (Luton): The South Bedfordshire detachment of the Bedfordshire Regiment Territorials mobilised this morning and has left town to much excitement. B and C companies assembled at the Plait Hall, F company were sent to the Assembly Hall, and G company to the Corn Exchange. The Territorials paraded through town with flags flying, and F Company left the Town Hall to be greeted by a cheering crowd waving hats and umbrellas. Once they had been joined by the other companies there were nearly five hundred men. Some were former soldiers who had only joined up this morning and did not yet have their uniforms. One was even wearing a bowler hat! The soldiers marched down George Street, then along Manchester Street and Bridge Street to the Midland Station where they left for Bedford on a special train. The 5th Bedfordshires’ own band has been disbanded but the Red Cross band stepped in to the breach and marched in front of the men. There was some angry muttering in the crowd about the town authorities and their failure to provide an official send off. The Mayor and Deputy Mayor are both away, and it seems nobody could be found to step into the breach. News has spread that the Government has taken over the railways. Although trains are still running from Luton it is expected that the service will have to be cut as so many railway employees are reservists and are leaving to join their regiments. Tuesday 4th August 1914 (Luton): It appears almost certain that within hours Great Britain will be at war with Germany and its allies. An ultimatum has been issued by the British government that will expire at 11p.m. tonight. Since Germany has already declared war on Russia and France and refuses to accept the neutrality of small, helpless Belgium it is surely inevitable that Britain will also be forced to declare war. In Luton today it would be easy to imagine that the war had already begun. The town is full of soldiers in uniform as reservists leave to rejoin their regiments. An announcement has been made that the General Post Office will stay open all night to give the reservists an opportunity to withdraw any money they need before they leave. The Territorial (volunteer) soldiers of the Fifth Battalion of the Bedfordshire Regiment have been at their annual training camp at Ashridge, but yesterday they were ordered to break camp and march back to Luton. They marched for four hours in the pouring rain, arriving back in town soaked through. 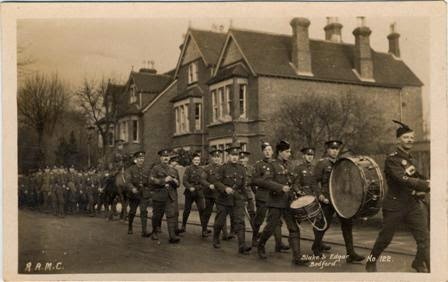 The South Bedfordshires were told by their commanding officer, Major Brighten, to go home for the time being, but this morning they were ordered to mobilise.